Avocado on toast is my go-to breakfast (and second breakfast, and afternoon tea, and midnight snack). It’s 100% vegan and takes minutes to prepare, perfect for rushed mornings. Plus, it’s easy to jazz it up with additional ingredients. 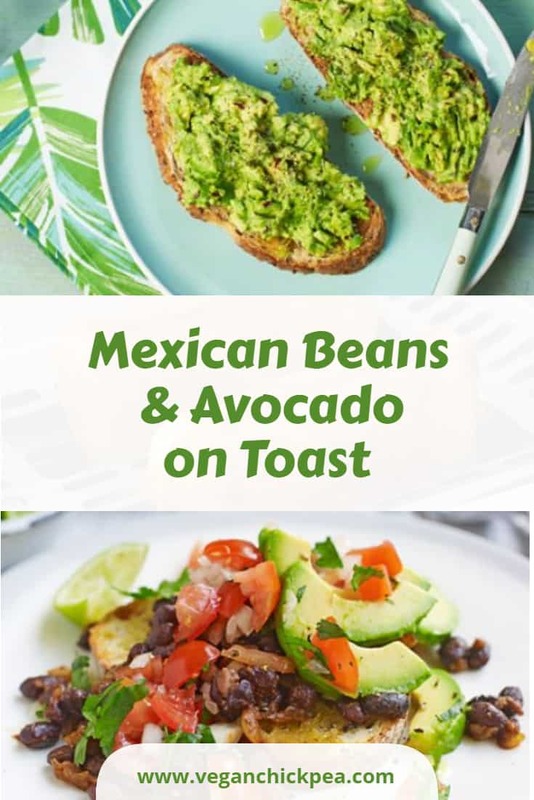 If you want to add zest to your avocado on toast, try this Mexican-style recipe that’s bursting with flavor. 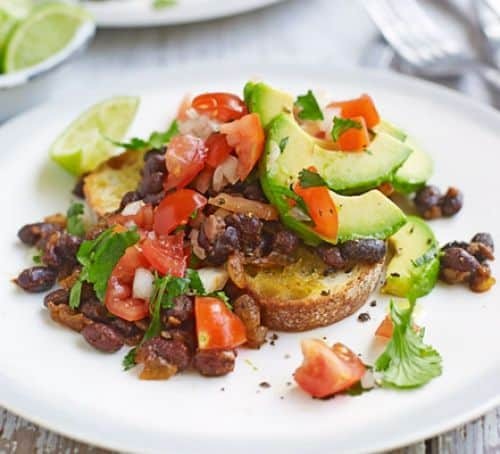 Who knew black beans and avocado go so well together? Well, it’s a no-brainer, really, considering what guacamole is made of. Give yourself a healthy, spicy treat and start your day with this mouth-watering surprise. Get the full recipe here. Mix the tomatoes, ¼ onion, lime juice and 1 tbsp oil and set aside. Fry the remaining onion in 2 tbsp oil until it starts to soften. Add the garlic, fry for 1 min, then add the cumin and chipotle and stir until fragrant. Tip in the beans and a splash of water, stir and cook gently until heated through. Stir in most of the tomato mixture and cook for 1 min, season well and add most of the coriander. Toast the bread and drizzle with the remaining 1 tbsp oil. Put a slice on each plate and pile some beans on top. Arrange some slices of avocado on top, then sprinkle with the remaining tomato mixture and coriander leaves to serve. Looking for more vegan breakfast wonders? This healthy high-protein vegan bread recipe is a great recommendation. Check out other exciting recipes in our previous round-up and make breakfast extra special.